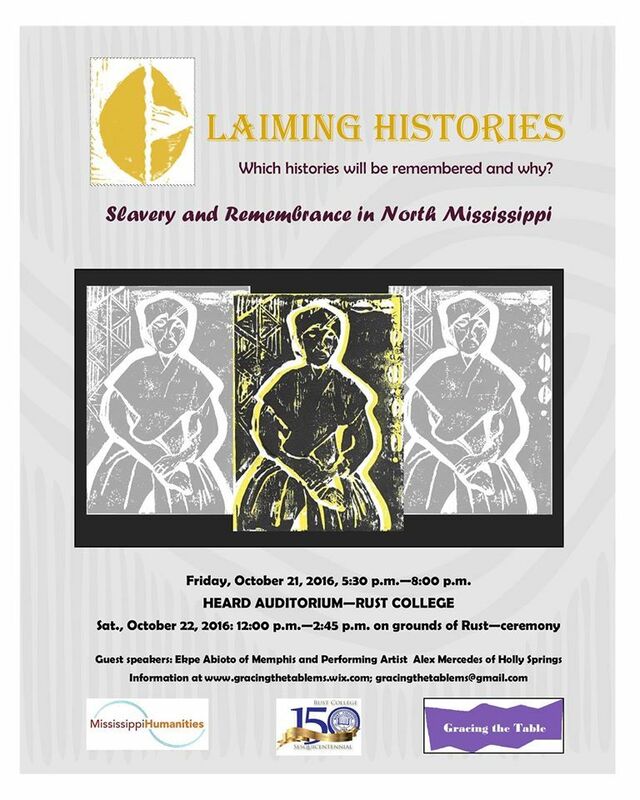 Gracing the Table and Rust College in Holly Springs, Mississippi, invite you to Claiming Histories: Slavery and Remembrance in North Mississippi, a two-day event on October 21st and 22nd, 2016 to be held on the campus of Rust College. 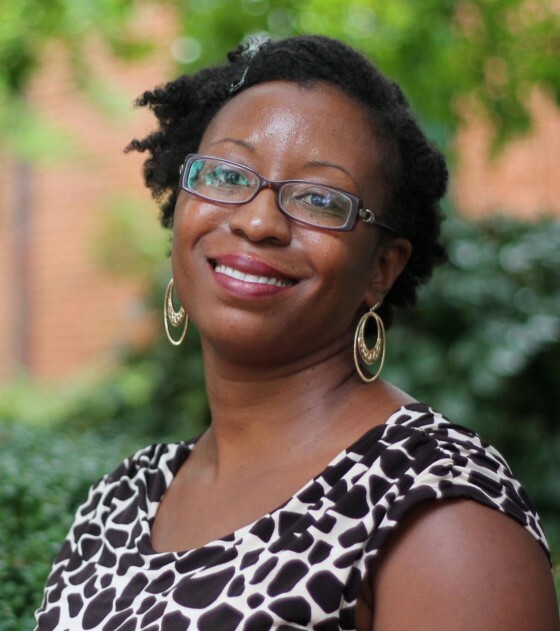 Claiming Histories begins Friday, October 21st from 5:30- 8:00 pm in the Rust College Heard Auditorium, featuring performing artist Alex Mercedes, and several speakers, including Alisea Williams McLeod (Rust College) on archival justice and the Register of Freedmen; Justin Rogers, a PhD candidate in the University of Mississippi Arch Dalrymple III Department of History, on enslaved women and religious life in North Mississippi; and Jodi Skipper, assistant professor of anthropology and Southern Studies at the University of Mississippi; on public memory and slavery in Mississippi. Saturday’s program includes a libation ceremony to honor those who came before us, led by Memphis drummer Ekpe. The program will conclude with what is probably the most enriching segment: group discussions about slavery and our shared histories. Gracing the Table, which engages the impact of enslavement on present communities, will lead these sessions. This collaborative effort between Gracing the Table, Rust College and the Mississippi Humanities Council is in line with national attempts to candidly address slavery. We hope that this program will be one gateway to reconciliation and healing in the State of Mississippi.